This chapter discusses the findings from the qualitative and quantitative research conducted among farmers, private sector seed industry representatives, and scientists at government research institutes. Section 5.1 discusses the results from the qualitative and quantitative interviews and surveys conducted among the private sector and public sector agricultural research institutes/universities. It finds that as anticipated by the research in Chap. 4, there is limited to no ongoing R&D activity in relation to pulses crops in the private sector seed industry of India. The private sector continues to focus its efforts on hybrids and transgenic hybrids. 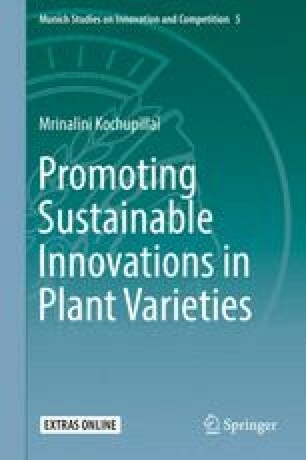 However, representatives of the government research institutes, as well as those in the private sector seed industry opined that the absence of strong IP protection regimes (such as patent type regimes) were not the key reason for the latter's unwillingness to invest in R&D in self-pollinating crops like pulses. Section 5.2 discusses the results from the qualitative and quantitative interviews and surveys conducted among farmers in two districts of central India. Contrary to expectations, the survey data indicated, at high levels of statistical significance, that given a choice between saving seeds from the previous season's harvest or buying new/improved seeds from the market, farmers across all land holding sizes preferred to buy new/improved seeds. Linear and probit regressions conducted on the survey data further revealed several factors that influence this decision. The findings of this chapter also suggest that widespread efforts to promote seed replacement may have a negative impact on the culture of seed exchange that is central to farmer level innovations and in situ agrobiodiversity conservation.